Home> Picnic by Kayak on the Urrunaga reservoir. Picnic by Kayak on the Urrunaga reservoir. Enjoy a picnic like you've never had before. Launch yourself onto the reservoir in your kayak and paddle while you enjoy a natural setting surrounded by mountains. The Urrunaga reservoir, considered one of the inland seas of the Basque Country, is the perfect place to enjoy a romantic day's kayaking. Relax on one of its unspoilt shores to take a break while you enjoy a picnic prepared specially for you. 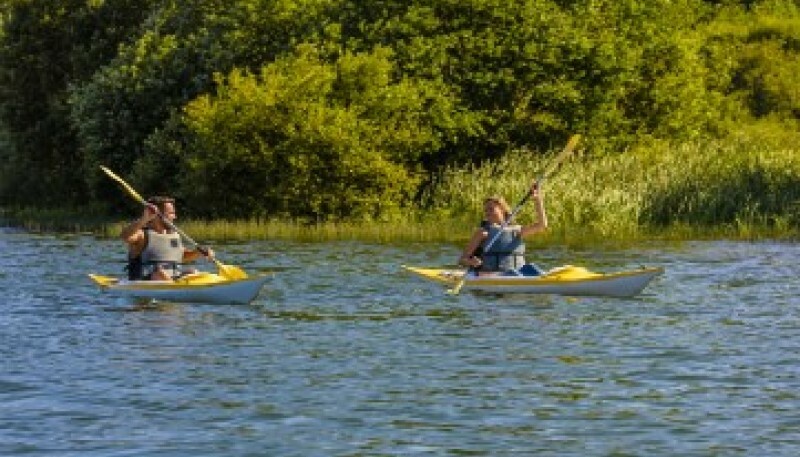 Includes kayak hire, training session and gear, plus a picnic consisting of a D.O. Idiazábal cheese pintxo or an omelette or Iberian pork (cured ham, loin or sausage) small sandwich and a soft drink, as well as route recommendations. 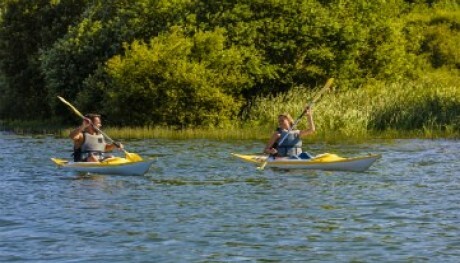 Includes: Kayak rental, training session and equipment. Important Notes: Advance reservation required one day in advance.